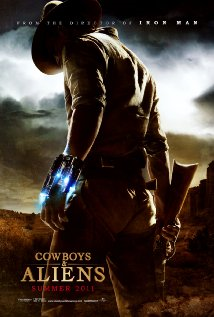 chronicles a small, Arizona town in 1873, after a spaceship arrives to take over the Earth. Their only chance at survival is a stranger (Daniel Craig) that they initially rejected. He pulls together a posse comprised of former opponents (Brendan Wayne, Harrison Ford, Sam Rockwell) to prepare for an epic showdown for survival.